That argument runs into real headwind when comparing the US TFR vs. European countries, all of which have very generous welfare benefits of all kinds, and also, virtually without exception (France might be one) also have lower TFRs. 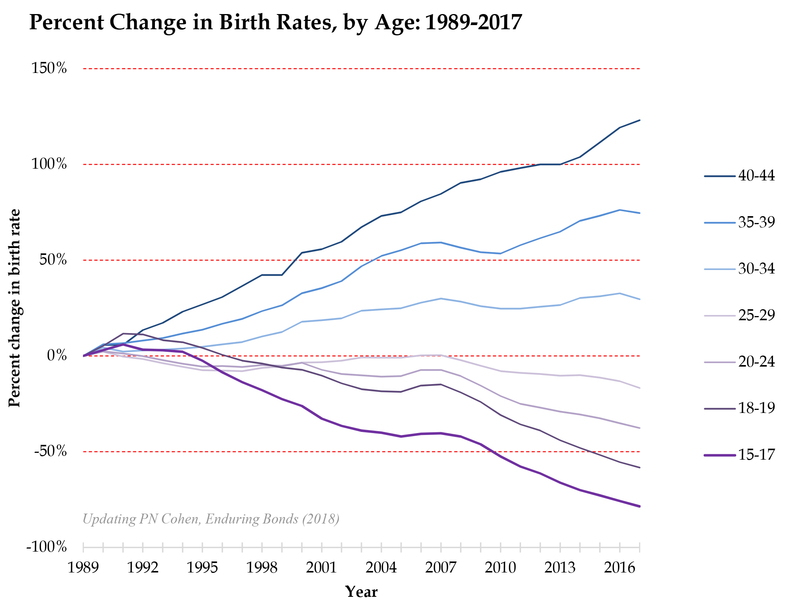 What effect does housing have on fertility choice? 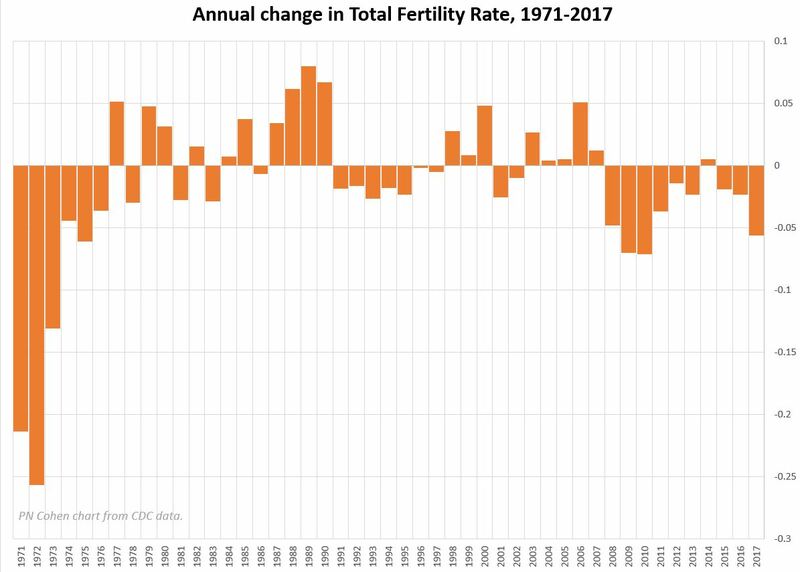 I am seeing substantial anecdotal evidence that worsening affordability and corresponding lack of supply of a certain housing typology (ground oriented, multi-bedroom, private yard) is leading to deferred fertility. The denser urban markets are seeing widespread school closures as family housing forms are upsized to non-family friendly designs or are simply not being built at all. 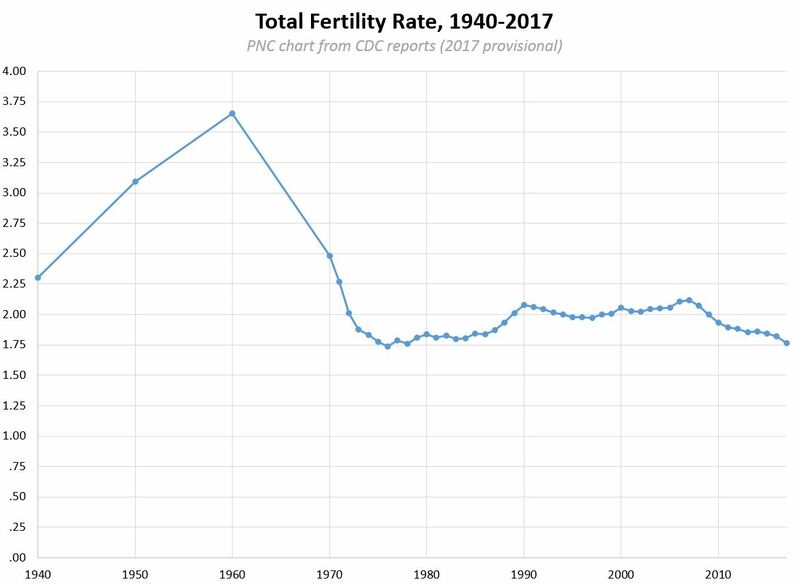 Fertility decline may be beneficial in the short term — but there are almost no cases of fertility returning to replacement level after a long term pattern of low fertility is established. I’m not sure this is a trend to be seriously complacent about as most of us seem to be. The argument that children endanger our climate is partly true but it has more to do with the western way of life than the presence of another person. We all know the statistics — north americans are about 8% of the world’s population but generate 50% of the planet’s garbage and consume more than 35% of it’s GNP. A more fruitful discussion it seems to me would be how to have somewhat larger families but not expect or demand the kind of lifestyle we assume should be normal. There are many good things about smaller populations but having more than a third of it being over 65 may not be sustainable in the long run and should we not be considering the long run? 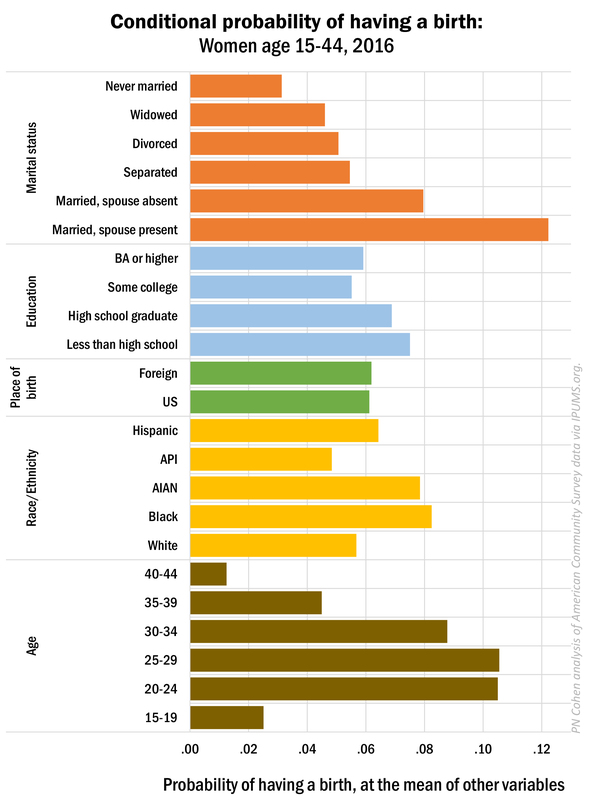 Once the baby boomers (my generation) start seriously dying off the increasingly diminishing pool of families or just people in general will not be experienced as an unqualified good. I don’t think gov’t policies by themselves will necessarily change anything. 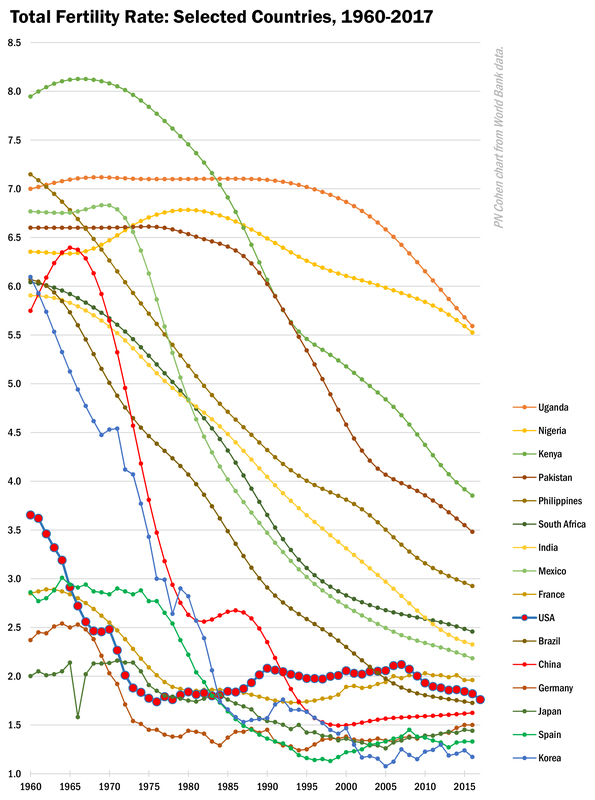 Singapore, Russia and Japan have all had huge policy initiatives to poke fertility. But this is mostly, I think, cultural. I taught for 20 years in university and saw in that time girls graduating in increasing numbers, having quite a bit more professional success and a lot lot less personal ‘success’ in that they had diminishing chances for having a marriage or family. from your example syntax and calculating the Average Adjusted Predicted Probability which uses the given values except for the variable of interest? I’m guessing results won’t change dramatically, but just wanted to clarify. I calculated it using the code shown. I think I did some tests once and found the same results with atmeans, so I used that term to describe them. I guess it’s the case with some models.